Consumer magazine Which? 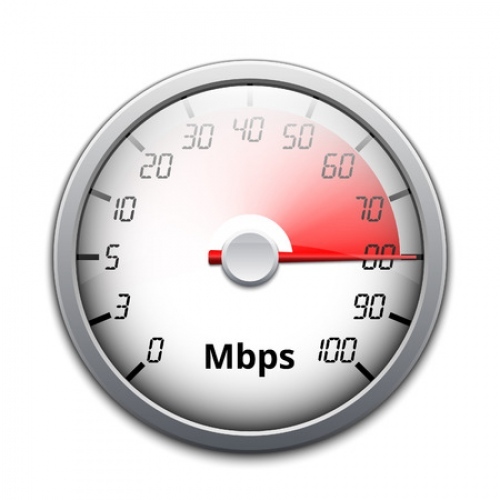 has today claimed that advertised broadband speeds are now 41% slower on the “cheapest deals” since the Advertising Standards Authority (ASA) began requiring UK ISPs to only promote “average” speeds (a median measured at peak time) for their headline packages. At this point it’s vitally important to highlight that the change, which was introduced from 23rd May 2018 (here), has not had any material impact at all on the actual physical connection speeds that are being delivered to end-users. Instead what has changed is the headline rates (i.e. those that are promoted more general to all consumers by ISPs). Obviously any move to focus on promoting an average, rather than a top 10% fastest figure (old method), was always going to result in a negative change for less reliable copper line based broadband technologies (e.g. ADSL, FTTC etc. ), which is exactly what we’ve seen and what has long been predicted since the discussions began. For example, prior to the change many ADSL2+ offering standard broadband packages promoted a general headline rate of “up to” 17Mbps (or thereabouts) and after the change we tend to see an “Average speed” of around 10Mbps being advertised. The change has been less dramatic on slower FTTC (VDSL2) tiers, although “up to” 76Mbps packages have fallen to an “Average speed” of around 63Mbps to 67Mbps. Meanwhile FTTP/B (Gigaclear, Hyperoptic etc.) and Cable ISPs (e.g. Virgin Media) haven’t really been hit much due to their superior and more reliable network technologies. In fact Virgin Media has actually seen their advertised speeds increase since the change, although they’re very much the exception rather than the rule. Which? clarified that across all the deals on offer from the 12 biggest providers, the advertised speeds from ‘up to 17Mbps’ to ‘up to 100Mbps’ had decreased by an average 15% (i.e. the bold 41% figure they tout was only on the cheapest deals – a key point). Due to this we feel it important to highlight how today’s stated 15% (overall) fall is considerably less dramatic than the 51% that Which? first predicted would occur before the new rules were introduced (here). The crucial difference here is that their preliminary study was based on unreliable end-user based data from speedtests. As we said at the time, speedtest base data was unlikely to ever give them a fair picture because it’s subject to some key external factors that will affect the results (slow WiFi, local network congestion etc.). By comparison the new study simply looks at how the actual advertised rates have changed, which is something that everybody can already see for themselves. The group also claimed that TalkTalk had “completely dropped advertising speed claims from most of its deals“, although a quick look at their website reveals that they’re still very much promoting average speeds on their packages (ADSL as 11Mbps and FTTC from 35Mbps). “Customers will now have a much clearer idea of the speeds that can be achieved when they are shopping around for broadband. “While it is great that this change to the rules has pushed industry to bring its speed claims closer to the truth, it only goes to show why it is so important that the Advertising Standards Authority finishes the job it started here. Sadly we note that quite a few smaller ISPs (excluding those that don’t mention a speed) still haven’t adopted the ASA’s new guidelines and continue to show the old “up to” figures instead, although the ASA aren’t known for being pro-active in their pursuit of such infractions and in any case they’re more likely to be flexible during the first few months after implementation. Another change we’ve noticed is that the big ISPs now seem to be much more reluctant to promote upload speeds since the new rules were introduced. In fact other than Virgin Media, none of the biggest players mention upload speeds anywhere on their main product pages and that’s disappointing given the rising importance of upstream performance to consumers (Twitch/XBox/PS4 streaming, Facebook uploads etc.). On the other hand Ofcom does now require that upload speeds be displayed as part of a customer’s personal speed estimate during the order process (details), which does at least mean that you’ll be told what to expect before parting with your hard earned cash. Likewise our ISP Listings also include this key detail. Perhaps a bigger question in all this is whether or not the average speeds being promoted are actually correct. Quite a few ISPs appear to be mirroring the rates of their competitors for specific packages, which is understandable but also suggests that they may not all be using their own data to produce a figure. Every ISP will have a difference balance of users and speeds, thus we’d expect to see much more variation than currently exists. Finally, an average still means that there will always be those who suffer slower speeds than the advertised rate, as well as those who receive something far faster. “Today’s findings demonstrate the slower broadband speeds that households and businesses are actually working with. But if we are to make a lasting difference, as well as tackling the immediate issues, we need to invest properly for the future. Our National Infrastructure Assessment, the first of its kind for the UK, endorses a move to full fibre broadband which could help guarantee that customers get the speeds they pay for – as much as 1,000mbps. ‘get the speeds they pay for’. Please explain. Because some premises wont be able to get anything else, such as a farm house miles from the exchange. It’s not ideal but in some remote cases it’s the only option available. I could put up with the idea of satellite, if it could be done for a similar price to fixed line, but it can’t, the high costs of data been that instead of being restricted by speed, you’re restricted by speed. Where a decent mobile signal is available, at least some of the mobile operators are undercutting satellite, but still no unlimited data. I can’t believe its beyond the wit of man to provide decent broadband 4km from the exchange, it seems the unwillingness to use currently available technology. There are technical solutions for the very remote we just need the network providers to be more creative if a subsidy isn’t there for a FTTP solution. Far more often than we are prepared to admit, the end user perception of their broadband as “slow” is affected by other factors than the speed the data can travel between their modem and the line card at the exchange. Contention ratio for cheaper packages is high, business grade packages have traffic prioritization, websites themselves are often slow, the WiFi from the router supplied by the provider is poor, as are the DNS servers assigned to it, and lastly only a few know that the maximum WiFi speed from a non-MiMO router will ALWAYS be the lowest speed profile negotiated with the slowest and farthest away device. To the unwary end user, all this is incomprehensible gobbledygook. While ISPs don’t put their hands in their pockets and supply their customers with proper home broadband kit, this diatribe will continue unabated. The problem of low speed has been exasperated by the increase in the digital divide, where the easy fast lines have been upgraded, leaving the slower longer lines alone. Meanwhile the average speeds available have gone up, and sites and services are setup to use that higher speed, so those left on the same low speed for 12 years can see things have moved on and they have been left behind. Your bit about wifi is not strictly accurate. If the user connected at a low rate is not doing anything (much) then the user connected at a high rate can still ‘enjoy’ that high rate. Correct, devices will connect at the highest speed allowed by their WIFI interfaces and standards supported by the router. However my understanding is that an old 802.11b device can hog the bandwidth and make the faster devices wait, they won’t slow them to the slowest but the effect can be significant. In addition if its on a weak signal the packet loss can be high and depending on the way the router handles TCP/IP (buffer etc) it can slow the router as TCP/IP tries to sort itself out. Hence I use 5Ghz for the newer devices. The digital divide has neither been exacerbated or exasperated. It has been substantially reduced thanks to BDUK and alternative networks. Home routers aren’t slowed down due to packet loss. They don’t hold huge amounts of buffers for connections, they rewrite headers and that’s about all. @CarIT “Home routers aren’t slowed down due to packet loss”. Not my understanding particularly for cheaper routers. Perpetual packet loss because of WIFI signal or interference causes TCP/IP to wait initially for a missing packet that will never arrive and then request a resend. It will depend on what is being transmitted but the amount of data flow and hence work on the router will increase. This is usually unnoticeable if all is well but it does occur particularly when using old 802.11b devices at the margin. Therefore better to have another AP rather than work with a very low signal. I’m on virgin cable. Was getting 100mb on a 100mb service. Now I get 80mb on a 150mb service. So how have their figures improved when round here it’s shite and has been for 6 months? At a guess because your area isn’t the whole of the Virgin Media network and doesn’t form the entire extent of Ofcom’s sample. His repetitive complaining could make sense if every time he came on here with his multi-named Virgin tales of speed despair he actually knew the difference between a milli-bit (mb) and a Mega-bit (Mb). Perhaps his shift key is broken for anything except creating a new name on any story that has anything positive about VM? Which? should give up commentating on broadband. They really have no idea what they are talking about. Which? should give up commentating. They really have no idea what they are talking about.